​scholarships available at our school. ​Free prekindergarten program for 4-year-olds that were born on or before September 1st. Step-Up administers the Florida Tax Credit Scholarship toward tuition and other school-related expenses for Parents of students in K thru 12th Grade that meet specific low-income requirements. Offers financial assistance to low-income families for early childhood education. 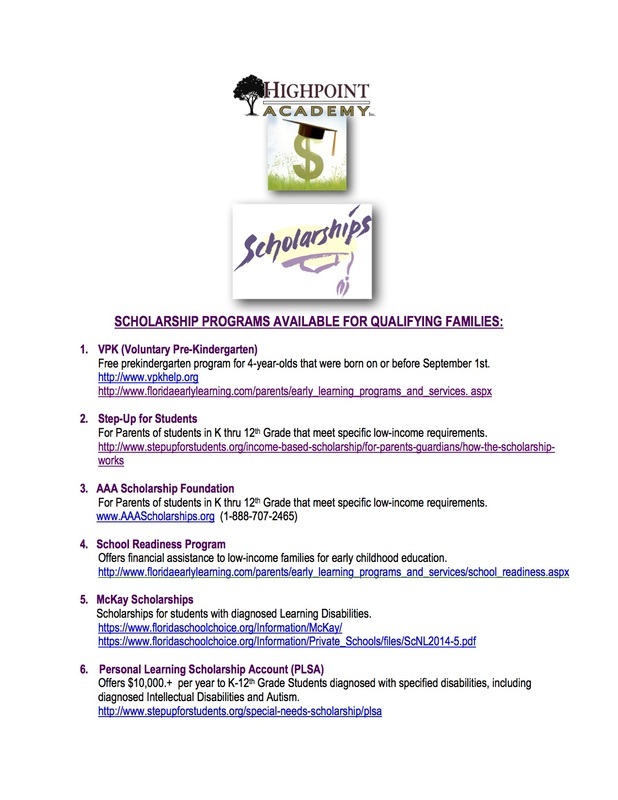 Scholarships for students with diagnosed Learning Disabilities. Amounts vary based on Matrix.